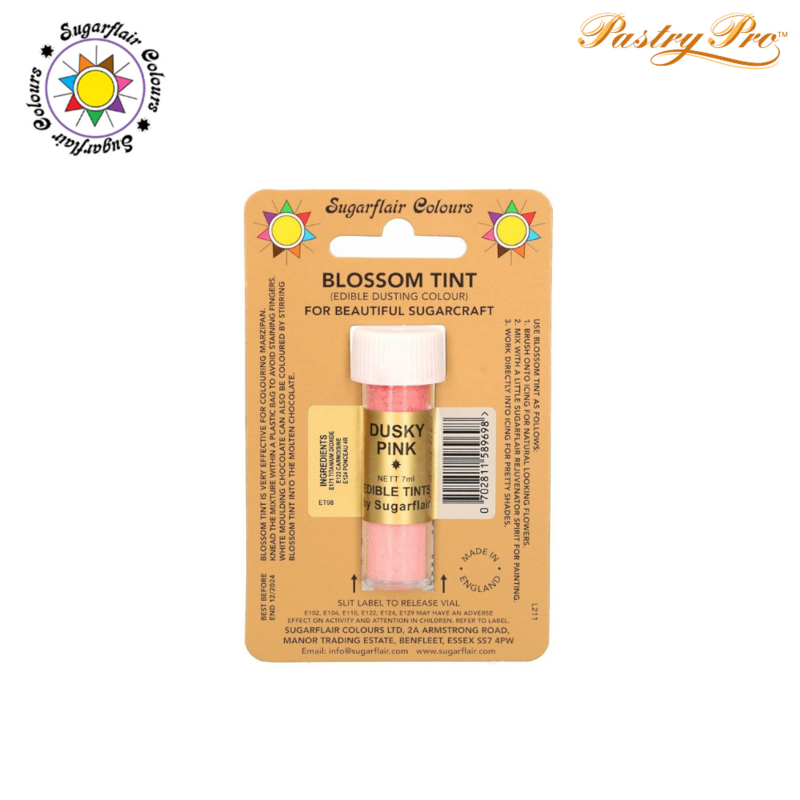 Blossom Tint is perfect for colouring marzipan. Just kneed the marzipan and Blossom Tint colour in a plastic bad to avoid staining your fingers. It is also suitable for use in any icing and white moulding chocolate. It can also be used to paint with when mixed with water. Just brush onto flowers to give a realistic appearance. All Sugarflair powder colours are manufactured using edible ingredients. Completely nut-free, gluten free, GM-free, fat-free and suitable for suitable for vegetarian.